Hino recalls a number of its 300 Series range. Hino has recalled a number of its 300 Series and 300 Series Hybrid vehicles, citing fuel filter and clutch issues. According to an Australian Competition and Consumer Commission (ACCC) notice, there are two issues with the automatic cutch unit in the 300 Series Hybrid models with automatic manual transmissions that may cause the vehicle to become immobilised. "The water sealing grommets may be deformed and cause water to enter the actuating motors due to incorrect layout of the wires," the ACCC says. "This may hinder the smooth movement of the brushings causing the warning light to come on, and in the worst case scenario, the brushings may become stuck and the clutch may become inoperable." The notice says another issue may cause the same set of circumstances for operators. "The actuator brushings may wear prematurely if the vehicle is started and stopped frequently due to inadequate programming of the control software," it says. "This may cause the warning light to come on, and if continued to be used without reprogramming, the clutch may become inoperable." Hino says the affected owners bought their vehicles nationally from authorised Hino dealerships, and asks those with trucks within the VIN ranges below to return it for repair. 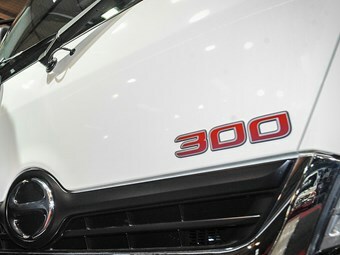 Issues also affect the non-hybrid variants of the 300 Series, with potential problems with the durability of the fuel filter element unveiled in a separate ACCC notice. "In the subject vehicles, the fuel filter element installed on the engine may crack if the engine is started and stopped frequently as durability of the fuel filter element is not enough to endure changes in the fuel pressure," an ACCC notice says. "If continued to be used, the crack may propagate, causing the element to break, ultimately resulting in fuel leakage." As with the hybrid range, Hino has advised those impacted by the recall to return their vehicle to an authorised Hino dealer for repair. Hino has documented the affected 300 Series vehicles here.